Nokia X7 launch event will held at China by tomorrow.It was confirmed by an official teaser seen weibo.The handset achieved certification from TENAA recently.However,the teaser reveals it's both rear and back design. 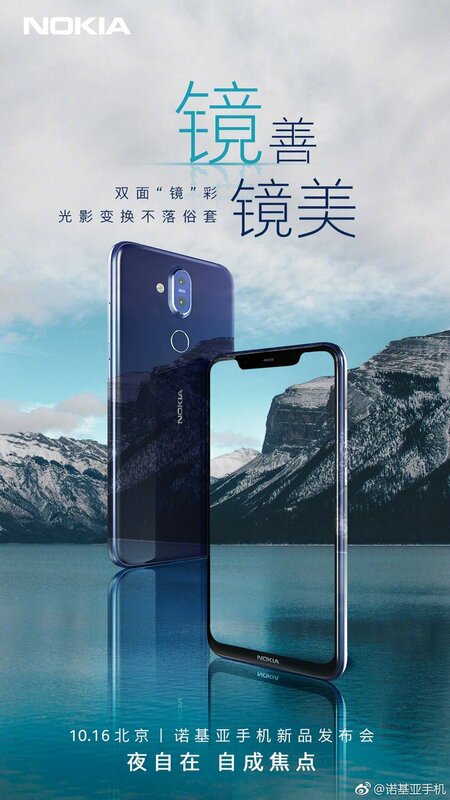 The official teaser shows it's design clearly.The handset has wide notch on its top of the display.The notch accommodates call speaker ,front camera and other sensors.On bottom,Nokia logo placed.I could not find any physical buttons on front panel.On the Beck,it packs vertically placed two cameras with LED flash on its upper center back of phone.Its fingerprint scanner placed just below camera setup and Nokia logo again placed followed by finger print scanner. 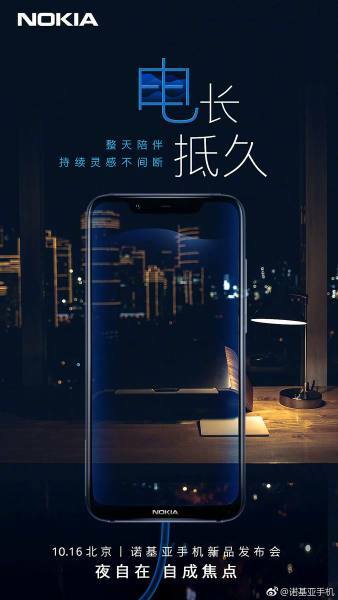 From TENNA certification,it features 6.15 inch display with FHD plus resolution.It will run on 2.2 GHz octa core Snapdragon processor with 4GB/6GB RAM and 64GB/128GB internal storage.Its dual camera set will be configured with 13MP+12MP on back and 20 MP single sensor.A 3400 mah battery will be backed up for power management. 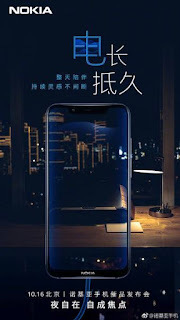 Though official teaser gave enough informations about phone,it's price is not yet known.Its full features and cost details will be updated with goes announced officially.